The drive up to Boulder is one of my favorite quick getaways from Denver. This weekend I headed to the Flatirons to enjoy brunch at Santo, a sister restaurant of Blackbelly. 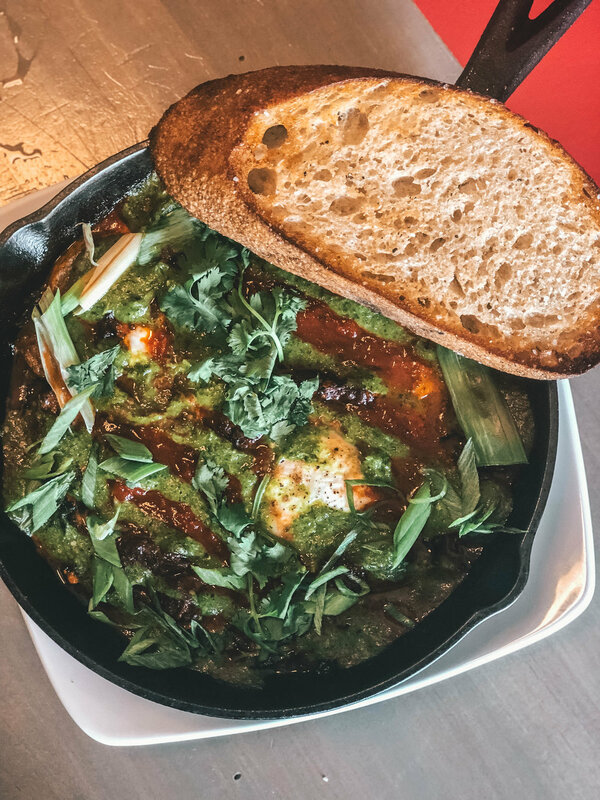 Executive Chef/Owner Hosea Rosenberg is originally from Taos, New Mexico and this is his playful tribute to the Northern New Mexican style cuisine. 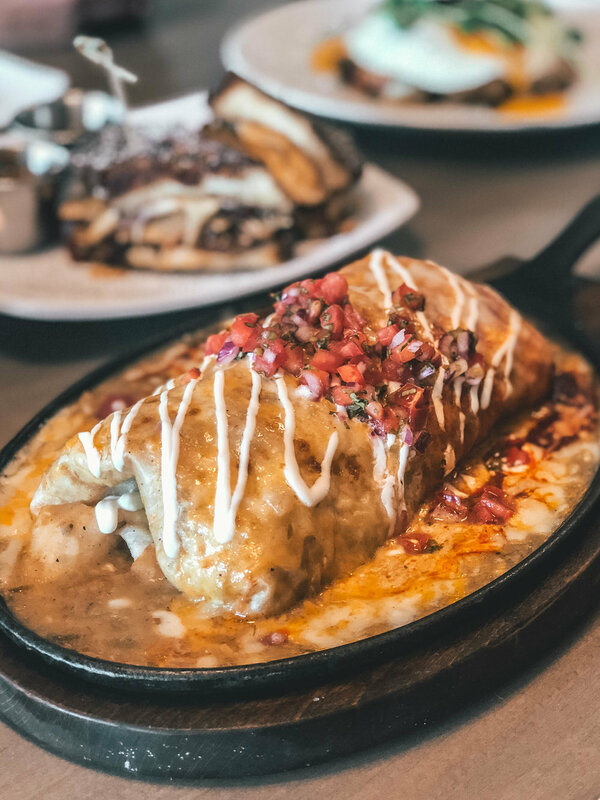 The brunch menu is stacked with incredible options from the Smothered Breakfast Burrito to the special of the day - the Monte Cristo - aka a french toast sandwich filled with bacon, cheese and tomatoes! Sip on a spicy Bloody Mary or wake up with the Levantante which is a coffee based cocktail perfect for those looking for a little extra something in the morning. 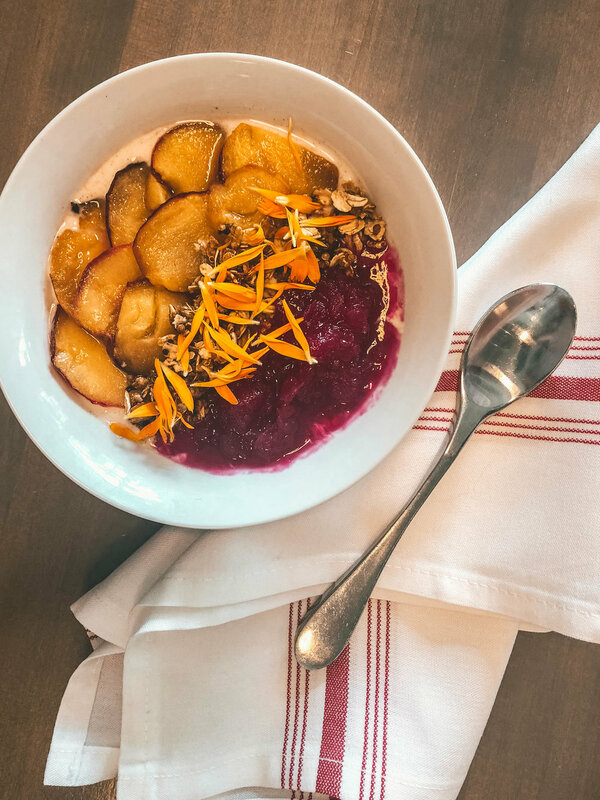 There are both small and large plate offerings, including a yogurt and granola bowl that's pairs prickly pair snow-cone like shavings with warm Palisade Peaches ('tis the season) all in one delicious dish. 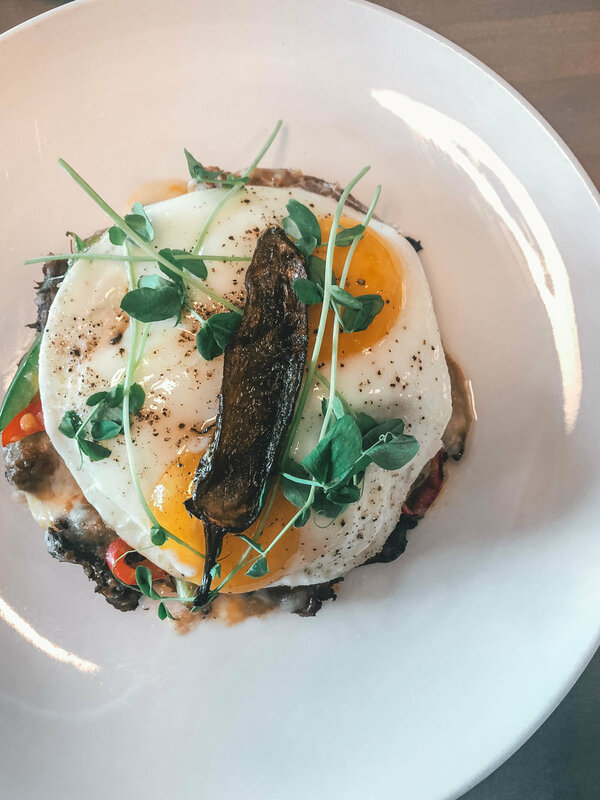 Don't shy away from the Bison Lengua Hash! It was honestly one of our table's absolute favorites. My favorite part of the entire meal was how casual yet stunning the entire restaurant felt. You could tell the staff loved working there and really enjoyed the food. We let our waitress pick everything out and she did not disappoint! If you're in Denver or planning to visit, add Santo as a stop to your itinerary! I'll definitely be heading back ASAP.